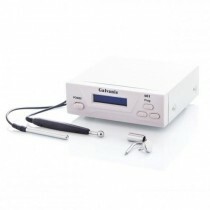 Galvanic Machine Nevada A01 is a cosmetological device designed for professional work in a beauty salon or facial room. The galvanic desincrustation or galvanical cleansing is applied for saponification of comedo, the effect is based upon the combination of saponifying agents under the influence of negative electrode. 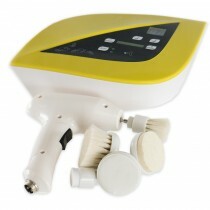 Ultrasound machine Nevada A02 is a cosmetological device designed for professional work in a beauty salon or facial room. 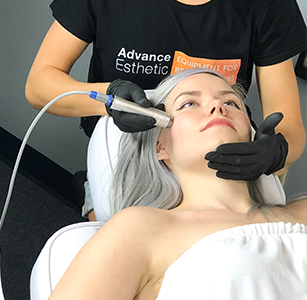 The ultrasound therapy enables to inject active pharmaceutical and cosmetic products into superficial layer of the skin with the aid of ultrasonic wave. The phonophoresis provides the warm-up, deep micro-massage on the cellular level, nutrition the tissues with oxygen, improves elasticity, accelerates local blood flow and immunological responses. Woods lamp Blu is an ultra-violet woods lamp. Used for skin analysis and diagnosis. Clients today are all about running after the newest treatments. Since we do live in the age of technology, they are usually right to run towards innovation. Here’s a fun fact: number of surgical facelifts performed in the US has reached the numbers of the long gone Millennium year. This happened because technology took few giant leaps forward and completely changed the beauty industry. Why subject yourself to the expensive and traumatic surgery when the same results can be achieved with regular relaxing Microcurrent therapy sessions? People will always choose safety. 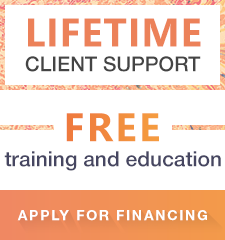 So, let’s see how we can help you to stay on top of things and offer your clients the best treatments available without breaking the bank. It is hard to compete with big fully stacked salons. If you are a practitioner “on the go”, have a small beauty business, or maybe trying to expand your business on a budget you still can offer the “it” treatments. Nowadays there are so many affordable options for portable equipment you’ll never have to say “no” to your clients. 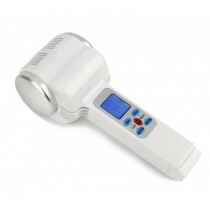 At Advance-Esthetic, we have all kinds of portable skin care equipment. And by portable, we don’t mean poor quality. We work with the best brands in the beauty industry and are confident that we are offering you portable equipment of the highest quality. We pride ourselves on knowing what beauty treatments are in demand today. In our shop, you’ll find everything! 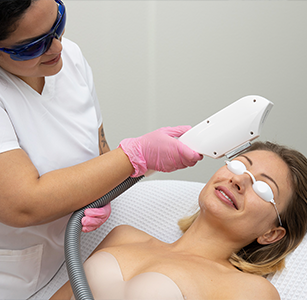 In this section, you’ll be able to learn about the very popular customized portable galvanic eye care machine, which effectively hydrates the skin and helps much-needed anti-aging creams and serums to reach the deeper level of the skin. We have a must-have facial skin analysis equipment – you can easily transport it from one appointment to the other with no effort whatsoever. The customized portable skin scrubber – magic collagen and elastin booster that tightens and lifts the skin! There isn’t a skin treatment in demand that isn’t represented in our store. 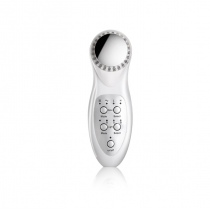 We have amazing portable steamers – a staple for every skin care professional. We also urge you to ask about our portable machines for the highly praised “no-knife facelift” the Ultrasound facial machine. We carry all of the latest crowd-pleasers: customized skin scrubber machine and galvanic machine – top of the line treatments, cold & warm facial machines and high-frequency facial machines. 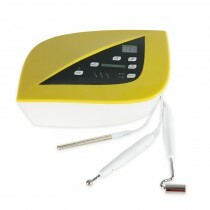 We can offer a great price on our dermabrasion machines that effectively clean the skin of dead skin cells. 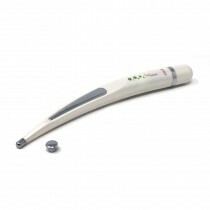 We also carry the remedy for sagging skin, fine lines, and wrinkles – the bestselling radio frequency machines. We have it all! 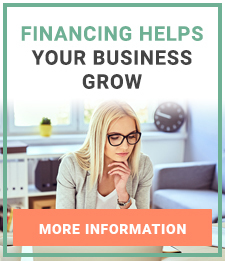 You can invest in any monofunctional machine, but, alternatively, we urge you to look at the portable multifunctional machines which are highly beneficial for business. Multifunction portable machines are made to make all of the trendy and effective treatments available wherever you might need them. 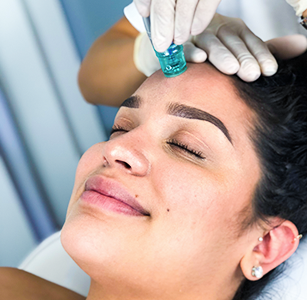 Beauty brands have long ago offered us an amazing solution for offering more while paying less by introducing the great Multifunctional machines. Now, with technology improving every two seconds and advancing with the speed of light one ergonomically designed machine can perform up to 15 different treatments! Skin tightening and toning. The lifting of sagging skin. Boost in protein production, etc. In this category, you can find all our portable machines.